​The UCLA Girls' Basketball Team Camp is all about teaching the fundamentals of basketball, building enthusiasm for the game, and creating a healthy, active summer activity. Players from the UCLA Women's Basketball team will serve as counselors - excellent role models for younger basketball players. Be a part of Bruin Basketball this summer. ​as she explains some of the features of our 2018 Team Camp! Commuter fees for the overnight camps include all instruction, as well as lunch and dinner each day. Commuters must check-in on the first day of camp at the same time and dorm location as the resident campers. Coach Cori explains our Overnight Camp Program! through fun and competitive drills! Build enthusiasm and respect for the game! Excellent for any skill level! The UCLA Girls Basketball Youth Day Camp is all about teaching the fundamentals of basketball, building enthusiasm for the game, and creating a healthy, active summer activity. 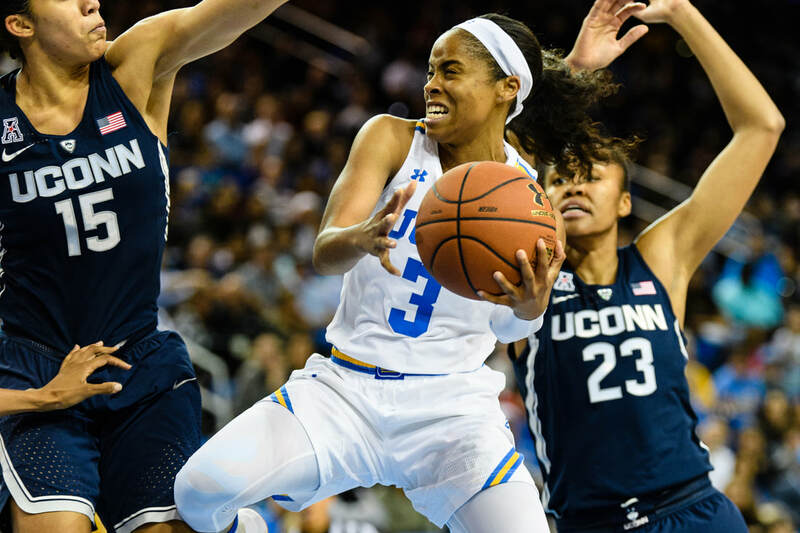 Players from the UCLA Women's Basketball team will serve as counselors - excellent role models for younger basketball players. This camp is great for girls just learning to play, or for those already playing on teams. Be a part of Bruin Basketball this summer. Daily camp hours are 9:00AM-3:00PM. Check-In the first day will be from 8:00AM-9:00AM.